Dwellings in the Evergreen State are built to withstand moisture, as seemingly daily doses of rain or mist make this part of the Pacific Northwest seem like a rainforest, even in urban settings. A majority of residents actually live in or near a city. Three out of every five shoppers for home insurance in Washington state dwell in the greater Seattle metropolitan area, which has the lion's share of the population. A two-hour drive from the Evergreen State's population center is Mount Saint Helens, the volcano that erupted in 1980 and blanketed over half a cubic mile radius with a coating of ash. Even though it occurred decades ago, this historical event is something agents have on their mind when they suggest you consider buying additional coverage beyond what's provided in a basic policy. Mount Saint Helen's is not alone. It's one of 20 major volcanoes within a group of 4,000 separate volcanic vents spanning from the top of British Columbia in Canada to the northern portion of California. The volcanoes increase the likelihood that earthquakes will shake things up in Washington state, which has quakes more frequently than many other parts of the country do. Earthquakes aren't covered under standard home insurance policies and are sold as additional coverage called a rider or endorsement. 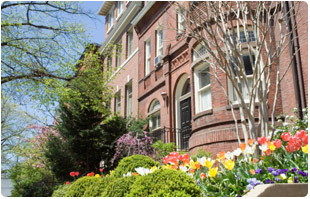 Countless buildings throughout the Seattle metropolitan area needed repairs, especially unreinforced concrete or masonry buildings like those in the neighborhoods of First Hill, Pioneer Square and Sodo. Structures near the epicenter – underneath Anderson Island -- experienced even greater damage, and it's a good thing that it happened to be a sparsely populated area – only 900 people -- or much worse would have occurred. 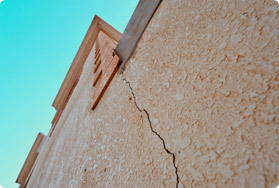 You can find the money to pay for earthquake insurance by revisiting your last tax return. Washington is one of only seven states that doesn't charge personal income taxes. You also get to deduct all sales taxes from federal tax payments if you itemize expenses. So think of money you save on taxation as funds to allocate toward home coverage. Since the state is already well prepared for rain, Washington home insurers don't consider flooding to be an exception from basic coverage as is often the case in other parts of the country. Instead, fire damage is often excluded from standard policies in the Evergreen State, and is available for sale as additional coverage through what insurers call a rider or endorsement. The more infrastructure your dwelling has for resisting fires, the less money it will cost to purchase additional coverage for fire risks. Insurance prices reflect the perceived risk that your property might sustain damage and lead to a claim for reimbursement. The more effort you make to protect your home and belongings from potential adversity, the less risk you represent to insurers. Document the safety of your home and supply that with your applications for coverage and you'll get the most affordable deal possible.